When you receive a check as payment for a debt or services, cashing the check becomes a priority so you can receive the money owed to you. If you have a bank account, cashing the check should be a simple process. If you do not have a bank account, you may face challenges as you seek to find a way to cash the check. Go through the proper steps to cash a check to receive the value of the check in cash. Take the check to your bank if you have an active account. If you do not have a bank account, look at the check to see what bank the check comes from and take the check to this bank. 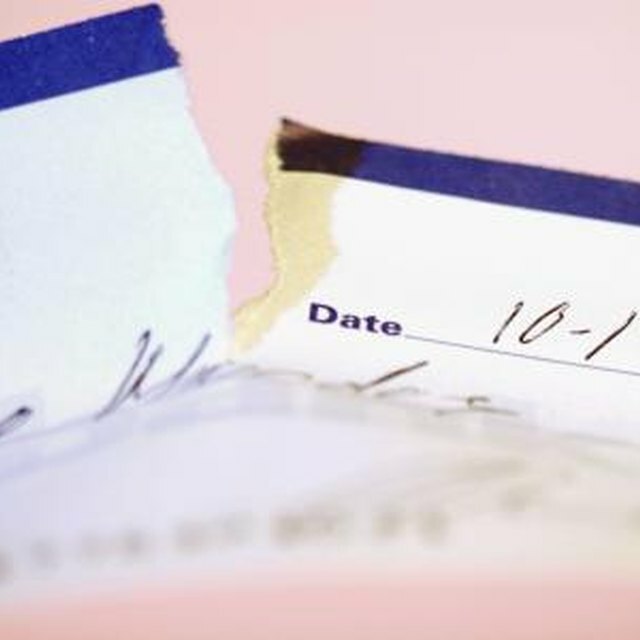 Often the bank on the check will cash a check, even for non-customers. Your third option is to cash the check at a grocery store or check-cashing businesses. Inquire about check-cashing fees before you cash the check and decide whether you want to pay the fees. If you do not like the check-cashing fee, you can try cashing the check using one of the other options. Sign the back of the check in pen with your signature in the space allotted for a signature and present the check to cash it. Furnish identification to prove your identity if you are requested to do so. Another option for cashing a check is to endorse the check to someone who has a bank account and can cash it for you. Instead of simply endorsing the check, write “Pay to the Order of” and then the person’s name. Sign your name immediately beneath this and have the other person sign his name also. Having your own bank account has many benefits; one of which is the ease with which you can cash checks once you have your own account. Another option for cashing a check is to endorse the check to someone who has a bank account and can cash it for you. Instead of simply endorsing the check, write "Pay to the Order of" and then the person's name. Sign your name immediately beneath this and have the other person sign his name also. Having your own bank account has many benefits; one of which is the ease with which you can cash checks once you have your own account. Debt Consolidation Care Forum: How can you cash a personal check without a checking account?